In my previous post I explained the work flow to create a custom Theme Colors palette, starting from an Adobe Color palette (ase). 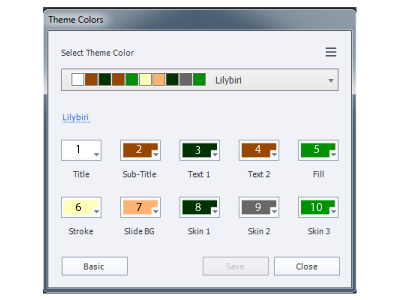 Theme Colors palettes can be applied to any theme, they are stored in the Layouts folder of the Public documents, they are not project specific. 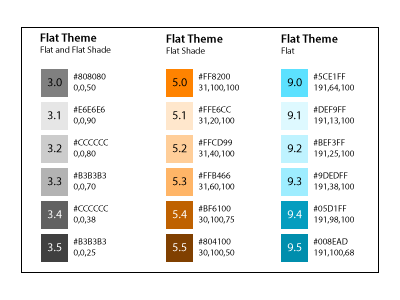 This article will show the consequences of applying a new Theme Colors palette to a theme. As you probably know a theme has three principal components: object styles, master slides and skin. 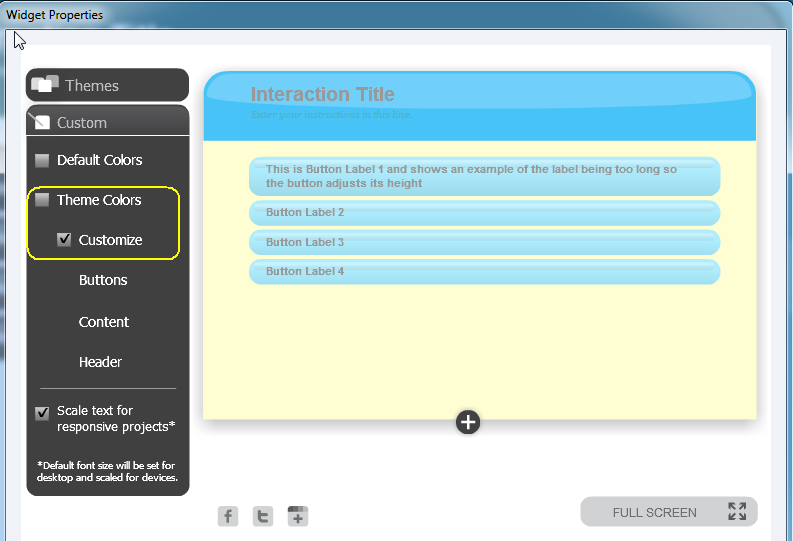 Moreover Captivate 8.0.1 allows to apply theme colors to a bunch of learning interactions (not to all yet). That is a big improvement, because most of those interactions have their own themes and it was a lot of work in former versions to edit colors in the interactions to match the theme of the project. How are Theme colors used? 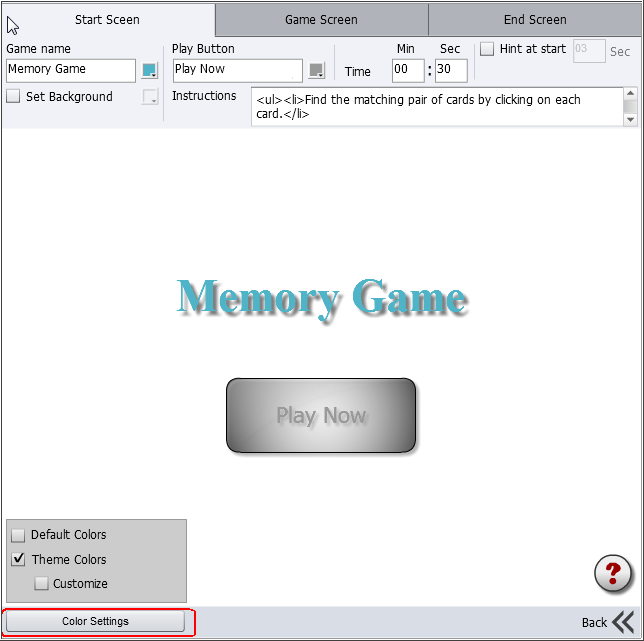 You can customize one of the existing themes by changing the Theme colors in the first place, then adding objects, changing styles, master slides etc. For a totally new theme you will probably start with the Blank theme. 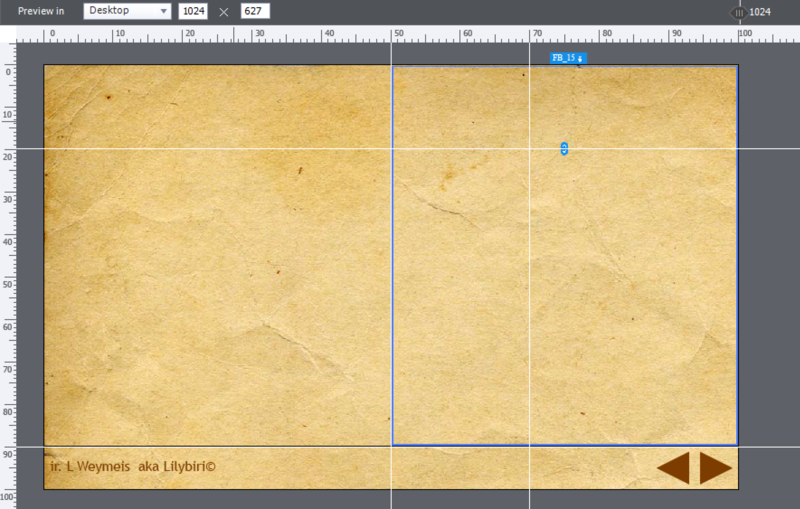 Maybe in a third article I will offer some tips about using Blank theme. In this post I will only talk about the other themes, and the way a new colors palette will interact with them. 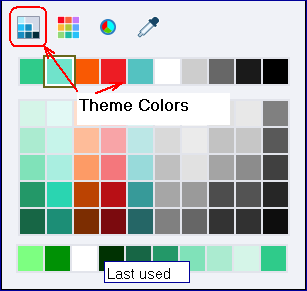 In the dropdown list under Select Theme Colors, you'll see on top the category 'Custom Theme Colors' and to the bottom 'Pretest Theme Colors'. 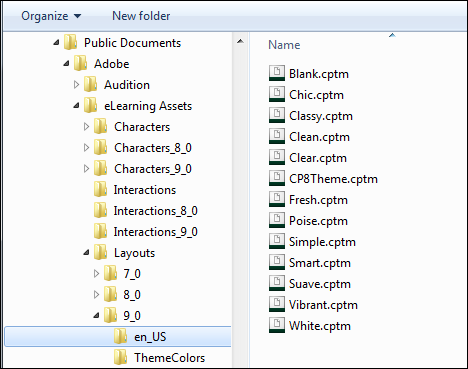 For each included theme you'll find two Theme color palettes in Captivate 8: one with the same name as the theme (in 'Preset Theme Colors'), and one with that name followed by Shade (in 'Custom Theme Colors'). Example: Flat color palette, and Flat Shade color palette. Only the Blank theme is an exception. 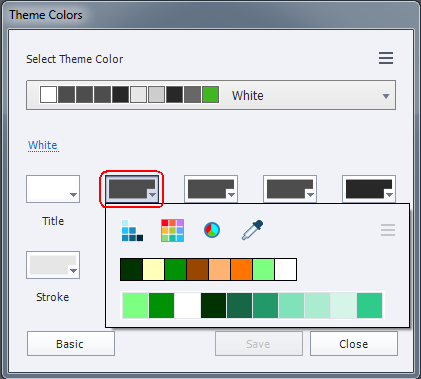 When you open the Theme Colors window, and choose Customize for a palette, you'll see 10 colors. A name has been given to each color, but those names are misleading, as I will explain. 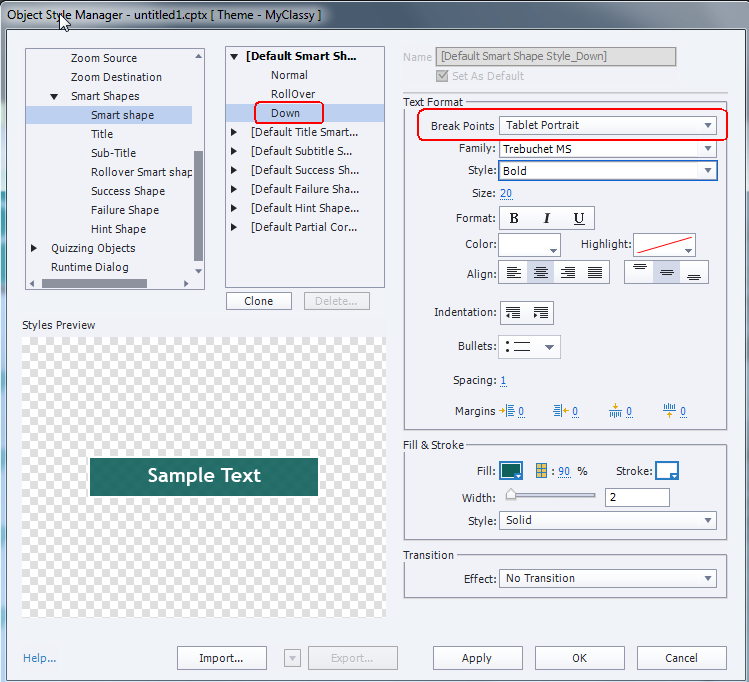 Font color of the default Title Smart Shape Style which is used on the Master slides is the first color 'Title' in themes Flat, Green, Nimble, White and Woodgrain. Blackboard uses Text 2 (Color 4), Clean Blue, Clouds and Vivid use Skin 2 (Color 9), Half Tone uses Stroke (Color 6). Font color of the default Sub-Title Smart Shape Style, also used on Master slides is never color 2 'Sub-Title' except for the Flat theme. All other themes use another color. Font color of Caption text uses quite a myriad of colors: Stroke (color 6), Text 1 (color 3), Sub-Title, Sub-Title tint 5 (color 2 - see tints later on), Title (color 1), Skin 2 (color 9). Same for the three font styles on Question slides: Title, Question and Answer. The default Shape style in the Object Style Manager has three states (Normal, Down and Rollover) because every shape can be used as a button. In the second table you'll see Stroke color, Font color, Fill color (Solid or Gradient, and Alpha) for the three states. Only the Font color seems to remain the same for each state - not always a good choice (sometimes unreadable because of change in fill). Why did I create those tables? 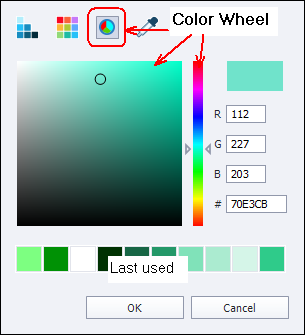 If you change the theme colors, some of the object styles, master slides and skin will change based on the new colors and on setup of the colors in the original palette. This means that the same custom color palette will create a different look, depending on the theme for which it is used. Not all object styles are using theme colors however, some will not change color: this is the case for the new Success/Failure/Hint smart shapes that you can use to replace the captions for interactive objects and question slides (Preferences). 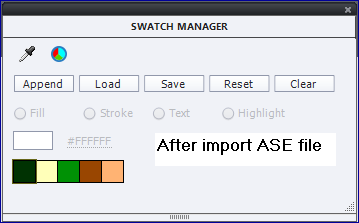 Of course, the old Success/Failure/Hint captions cannot apply theme colors neither, but for the shapes this is possible without having to create custom captions in a graphics editor. I created the color palette 'Lilybiri' based on my logo (see previous post). Browse this Picture Gallery. 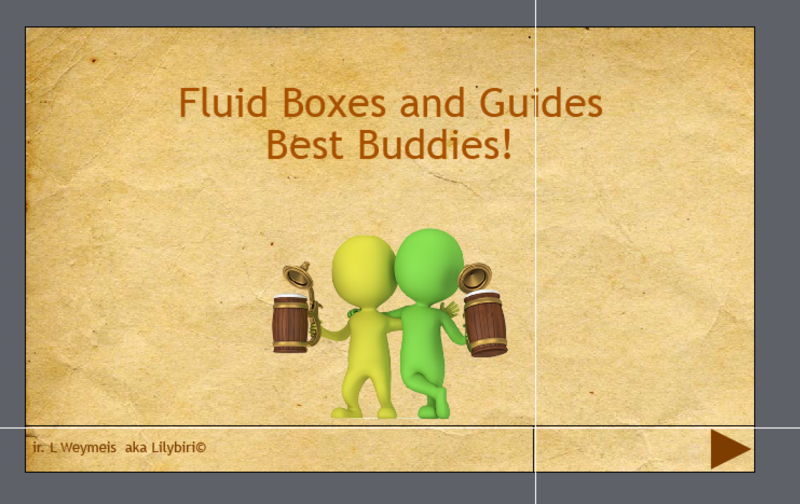 You'll see one slide, with that palette applied to the White, Vivid, Flat and Halftone Themes. 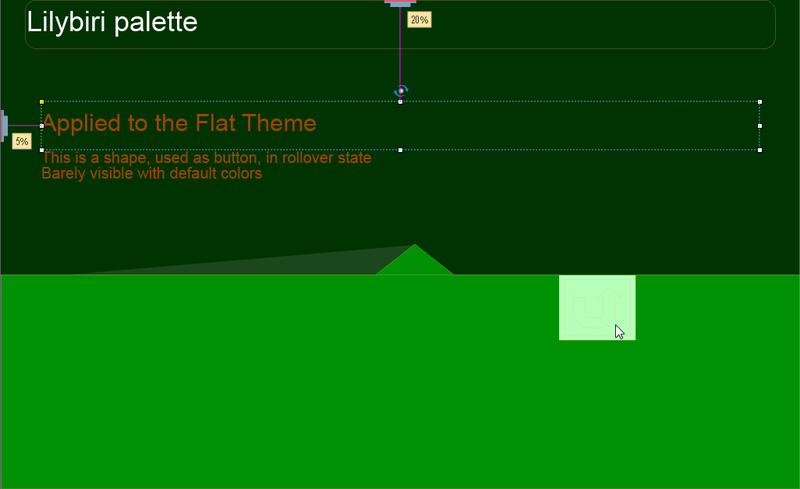 Watch the colors of the master slides, Title, Subtitle, Caption and the 'rollover' state of an inserted shape button. You see that the result is totally different. If you want to change just the theme colors for an existing theme you have to check the master slides and the object styles. I would have preferred to have more consistency in the use of the theme colors in the themes. Especially in this version, because to create a custom theme you need to start from an existing theme, certainly for responsive projects. In the first article I already explained that Captivate will create 5 tints for each of the theme colors, besides the base colors of the palette. Some of those tints are used in the existing themes: on master slides, in object styles and in the skin. 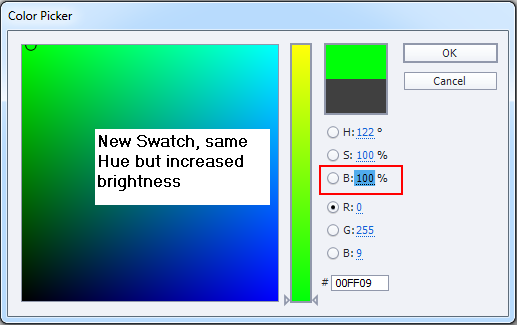 For gray colors (like 4D4D4D, E6E6E6...) you'll see that Hue and Saturation remain equal to 0 and only the Brightness will decrease from tint 1 to 5. Same of course for Black (000000) and White (FFFFFF). For normal colors the Hue remains constant (there are small variations) for all tints. Depending on the default Theme you are using, the tints can be slightly different, but not in the same way as what I showed about the style colors in the previous point. 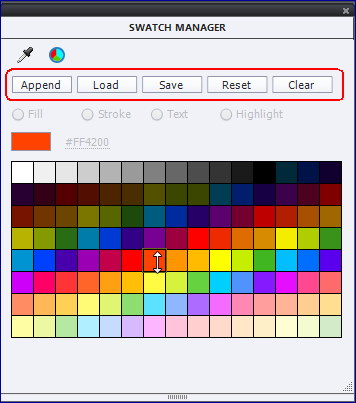 When using this customize button, you'll see the Theme colors with their tints when changing a color. 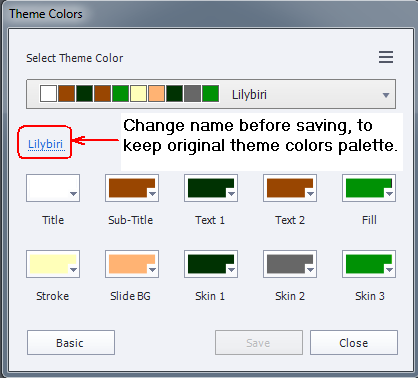 Customize becomes available under Theme colors instead of Default colors and will show you the Theme colors palette with all the tints. The other interactions do not yet offer the possibility to use theme colors. 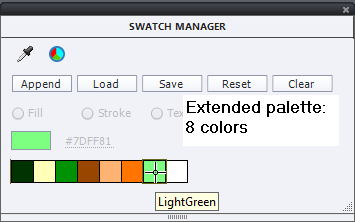 Be careful when creating a custom color palette to apply to an existing theme: look at the two default palettes provided for that theme and try to assign bright colors to the same color number as those palettes, same for darker colors. 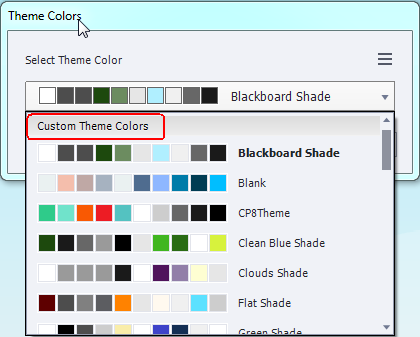 Maybe the table I offered with the use of the theme colors in all themes can help. 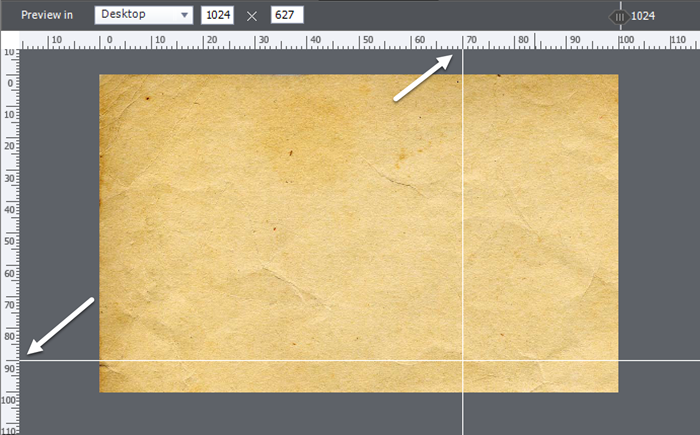 After checking the object styles, check the master slides: objects and background will have changed colors as well. If you use shapes for Success/Failure/Hint messages, check their style because they will not be changed to the new color palette. 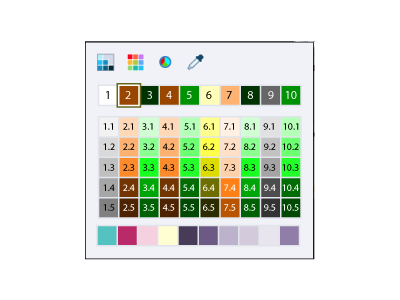 When using learning interactions, try to change to Theme Colors if they offer that possibility, and double-check the result that you can edit with the Customize button.